Keep in mind that Mitsubishi saves its active-safety features for the SEL and GT. But the SEL with the safety package only adds up to around $27,000. The 2016 Mitsubishi Outlander takes the rational road, filling in more functional details than flair, and it adds up to high-value family appeal. Forget the bold designs and performance character we've come to expect from Mitsubishi over the past decade or so, because it's history—replaced by efficiency, comfort, and a design that felt a little bit restrained in the name of practicality. With the 2016 Outlander, Mitsubishi has pitched itself toward families in a way it never has before. 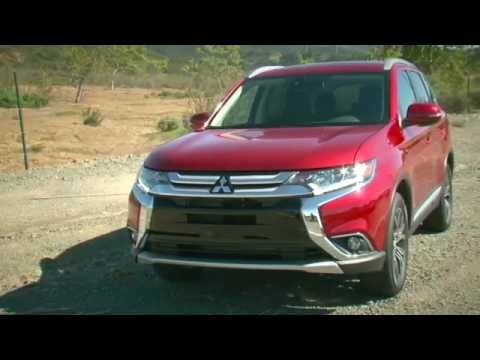 Yet with the 2016 Outlander, Mitsubishi attempts to fine-tune the presentation, and with some significant styling tweaks, a new transmission, and countless minor improvements to refinement, the new model is a little more distinctive-looking, better-performing, and even more in touch with what matters to the target customer: value-minded families. As part of what amounts to a significant mid-cycle revamp, Mitsubishi has taken the unremarkable front-end design and given it flair, with so-called "Dynamic Shield" styling that the automaker says is derived from the look of the bumper-side protection that’s been put on generations of the Montero SUV. That look is echoed in back, the hood is smoothed over, and other trims changed to complement it. All said, the look fits together well, and while it’s not entirely sporty, and the interior itself feels spare and understated, it’s not in-a-corner extroverted, rather warm, modest, and accommodating. Driving enjoyment is no longer much of a priority in the Outlander. The former Outlander was a better drive. Although heavy, especially in top GT form, the prior version was tuned (deceptively) for the back roads. But that’s now several years back, and for the third year of this less extroverted Outlander, Mitsubishi claims to have made some subtle changes to make it a better drive. The least subtle of those changes is the transmission that’s paired with the base 166-horsepower, 2.4-liter inline-4. It’s a new unit, with a wider ratio span, and it can respond faster to prods of the accelerator for passing. That allows the Outlander to be quicker from a standing start and about a second quicker to 60 mph. Even with this, the Outlander isn’t quick, and while the CVT follows a logic that holds some ratios while accelerating, it’s still indecisive on long grades and barely adequate for this seven-passenger vehicle. The GT model includes a 224-hp, 3.0-liter V-6 and all-wheel drive, but that combination remains a disappointment in today’s market; it does upgrade towing capacity to 3,500 pounds, but it asks for premium fuel and rewards you with mediocre performance (although it sounds great). 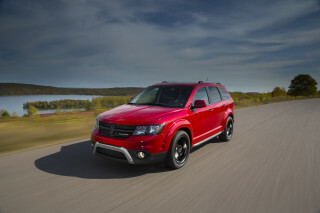 Outlander ES models are front-wheel drive. 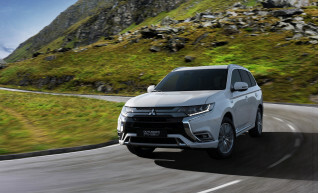 Outlander SE and Outlander GT get Mitsubishi's all-wheel drive, which features an electronically controlled center coupling combined with an open rear differential, but no low range. While there have been some minor changes to improve handling and ride in the 2016, model, it’s still quite soft and detached from the road—but quiet, comfortable, and well-mannered in the vast majority of real world road environments. The current Outlander gets top results in every category of the IIHS tests, to achieve the insurance industry agency's Top Safety Pick+ status. Government tests are nearly as good, with four stars for frontal impact and five stars in the side-impact tests. The all-wheel-drive models received five stars from the federal government, while front-wheel-drive models received four stars. And active safety features include forward-collision and lane-departure warnings and adaptive cruise control. 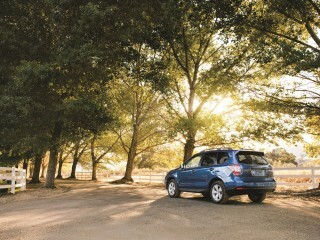 Mitsubishi has positioned the Outlander with value in mind. It's offered in ES, SE, and GT models, and we tend to think that the best value in the lineup is found in the middle SE models—or in SEL models, where you can now opt for all the active-safety items for a total price of around $27,000. Even the base ES model of the 2016 Mitsubishi Outlander includes things like automatic climate control, remote keyless entry, cruise control, steering-wheel audio controls, full power accessories, and Bluetooth, plus a six-speaker, 140-watt audio system. For 2016, Mitsubishi has added LED taillights and position lamps plus alloy wheels. Leather upholstery is now included in the SEL, and well-optioned SELs and GTs include a power sunroof, remote power liftgate, Rockford Fosgate Audio with satellite radio, and the power mirrors and windshield de-icer. The EPA rates the Mitsubishi Outlander at 25 mpg city, 31 highway, 27 combined for the four-cylinder front-wheel-drive models, while all-wheel drive models with that engine will get 24/29/26 mpg. The GT, with its V-6 and all-wheel drive, doesn’t do quite as well, with an EPA-rated 20/27/23 mpg. The 2016 Mitsubishi Outlander gets just enough of a rework to re-emerge from its design slumber. Mitsubishi made quite the leap two years ago, when the Outlander went from being one of the more extroverted-looking small crossovers to one of the most understated ones—and almost, in some awkward ways, one that looked unintentionally retro. Now, for 2016, Mitsubishi restores some of the Outlander’s flair, with so-called "Dynamic Shield" styling that the automaker says is derived from the look of the bumper-side protection that’s been put on generations of the Montero SUV. The front end is mated to a corresponding touch-up in back. In front especially, that involves more chrome (a “chrome-fanged look," we’ve heard it described as), yet altogether it gives a lift to the look and makes the Outlander a little more distinctive and assertive from a distance especially. The Outlander also gets all-new sheet metal ahead of the windshield, including a hood that loses the center crease and better matches the revised grille and bumper treatment. Mitsubishi says that the Outlander doesn’t have a bad angle. While we mostly agree with that, we have to say that it doesn’t have an absolutely stunning angle either. In profile, the look works very well, and with the introduction of the beautiful 2016 Volvo XC90 (yes, we see some similarities in the profile, but not the details), it fits in even a bit better. And it’s a move in a somewhat sportier new direction. And while all the shiny plastic and chrome (and plastichrome) looks a little cheap up front (and an open invite for road rash) adds some panache, we can’t say that it makes this design pop in a way it hadn’t before. Inside, the Outlander is highly functional yet not particularly eye-catching or harmonious. Inside, "simple" is the word to describe the rather low-set instrument panel, which some may see as too plain or others mind find refreshingly straightforward. There aren’t a lot of buttons, and the layout and trims are spare, but not unattractive. At a time when almost every model tries to emulate luxury models, the Outlander cabin isn’t going above and beyond in design or materials, but it does feel warm and accommodating. For 2016, Mitsubishi has touched up the cabin in all sorts of detail-oriented ways: The old mouse-fur headliner has been replaced by a "knit" material, while the instrument cluster gets contrast stitching; the leather-trimmed steering wheel gets accents; there’s more padding for the center console; the base seat fabric is improved; and new accent panels have been added. Even better, the plasticky-looking faux wood has now been retired. 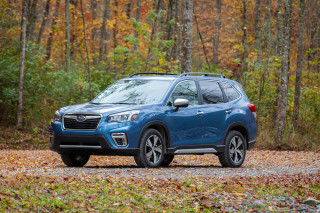 Essentially, it’s up to par design-wise with its rivals like the Nissan Rogue, Subaru Forester, Toyota RAV4, or Honda CR-V—and we think it’s ahead of the more affordable versions of those models in the details. It’s still not exciting to look at. Don’t expect a lot of driver engagement—or peppiness with the four-cylinder—but the 2016 Mitsubishi Outlander is plenty agile and capable for your family-hauling needs. Most of the 2016 Mitsubishi Outlander lineup remains powered by a 166-horsepower, 2.4-liter four-cylinder engine that sure isn’t a lot of motivation for a 3,500-pound vehicle. Yet by introducing a new generation of the continuously variable transmission (CVT) this year, the automaker has made the Outlander a little quicker than before, and considerably more responsive. For 2016, it gets the latest, so-called "CVT8" unit. Its total ratio span is 7:1, as opposed to 6:1 in the previous unit, which means that it has a lower ratio for better standing-start launches, as well as reduced revs in highway cruising. Mitsubishi has worked on making this unit more responsive and quicker to adjust the ratio for a "downshift" when passing, and the CVT aims to reduce some of the motorboating feel that accompanies some of these transmissions by holding onto ratios for a short time during acceleration. The net effect is that it while it seems at ease and effective in level, lower-speed use, it hunts around quite a bit, especially on hills. The suspension is still far from sporty—and it really doesn’t drive as well from an enthusiast’s perspective as the previous generation—but it has more of the qualities that shoppers in this class are truly looking for, mostly a lot less harshness in the cabin. That said, across the model line, to improve ride and handling Mitsubishi has reinforced the front suspension cross-member then changed the spring rate and tuned the shocks to match. In back, there are larger shocks and also a different spring rate that Mitsubishi officials described at just a bit sportier, but without any noticeable sacrifice in ride. There’s an electric power steering system that’s precise, and rather firm (and perhaps a little too aggressively centered), considering the mission. 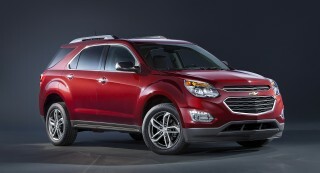 Yet overall this is a confidence-inspiring, easy-driving crossover. The suspension layout is pretty typical for a crossover, with MacPherson struts and a new multi-link rear geometry. 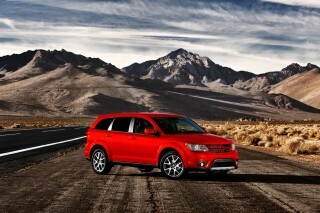 You get front-wheel drive in all Outlander ES models. SE and GT models get all-wheel drive. Here you get an electronically controlled center coupling, combined with an open rear differential, but it’s unlike some all-wheel-drive systems in that it has a separate active front differential to help get the right torque split for the conditions, which helps power through some exceptional conditions, like when one wheel is on ice. As we sampled when this generation was first released, the Outlander does have off-road ability—more so than most other models in this class. Its all-wheel drive system and suspension are fully up to the task of heading up most rugged gravel roads or two-tracks on the way to a trailhead. GT models pack a 224-hp V-6 that’s disappointing in that it’s considerably thirstier, asks for premium fuel, and doesn’t develop all that much torque until you rev it. The paddle-shifters and 6-speed automatic spice up the driving experience a bit, though. But there’s one advantage to the Outlander GT: It can tow up to 3,500 pounds (versus 1,500 pounds for the other models). The 2016 Mitsubishi Outlander is right on target as a comfortable, quiet, well-designed family vehicle. With this current generation of the Outlander, Mitsubishi turned its focus inside—and that’s paid off in a supremely comfortable vehicle for first- and second-row passengers, with the added value of a third row on every trim and version of the model line. 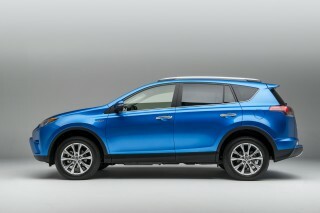 While it’s within a few inches of the Honda CR-V, Toyota RAV4, and Subaru Forester, it feels somewhat roomier inside. The Outlander includes supportive front seats with lower cushions just long enough for taller folks, plus a great driving position. 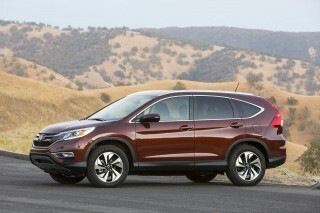 And the second row doesn’t feel flat and hard, as in many crossovers in this class; it’s comfortable enough for adults. Of course, yes, there is that third seat, but just as with the third rows in the comparably sized Nissan Rogue and slightly larger Kia Sorento, it’s kid-sized, and very, very low to the cargo floor. For 2016, the Outlander gets revamped cabin materials and trims, as well as improved noise insulation and a redesigned seat-folding arrangement in the second row. Yet all the good elements of this design have been preserved—including flat-folding seats and a very low cargo floor. Mitsubishi has redone the convoluted second-row seat-folding arrangement last year’s model, and instead introduced a redesigned seat with a new three-step process: Flip the headrests forward first (no need to stow them anymore), lift the lower cushion and stash it against the rear of the front seat in a second motion, and finally flip the second-row seatbacks forward. You can’t slide the second row fore and aft, as you can with some other three-row models, but what you end up with is an excellent, perfectly flat cargo floor. Cargo lift height is low, too, and there are small side boxes just aft of the wheel wells plus an underfloor storage compartment good enough for a laptop bag or for keeping other things out of sight. Mitsubishi boasts that the Outlander’s third row is nearly 5 inches wider than before, with 2.4 inches more leg room, yet as one of the most compact models with three rows of seating on the market, the Outlander performs no spacial magic. Even getting into that third row is something only kids will try; and even pre-teens may be looking at their knees. Think of it only as a pinch-hitter third-row seat, for when you suddenly need to bring a couple more kids back from practice. The Outlander got more noise insulation for the floor, dashboard, and headliner last year; and now for 2016 it gets more—a total of 31 more enhancements, ranging from more insulation for the front fender, better door sealing, upgraded windshield and door glass, redesigned side mirrors, and even thicker wheels. In all, it amounts to a very quiet, refined cabin—one of the quietest in this class. Materials are now right on par with what you’ll find in some of the better interiors in this class, including models like the Jeep Cherokee and Ford Escape. The unconvincing, plasticky wood-grain accents that were previously used in upper trims have been replaced by new trims that look a bit more modern. Mitsubishi has also this year raised the height at which the rear hatch opens. It still doesn’t, however, allow you to set a variable maximum height, as is the case for the Subaru Forester, for example. The 2016 Mitsubishi Outlander carries over with one of the safest structures in its class, and active-safety features are even easier to add this year. The 2016 Outlander is among the best-rated vehicles of any type, according to the IIHS. It has earned top "Good" results in every category, including the notoriously difficult small overlap frontal crash test. It earned the agency's vaunted Top Safety Pick+ status. Federal results for the Outlander have been nearly as good—with four stars for frontal impact and five stars in the side-impact category. The all-wheel drive 2016 Mitsubishi Outlander earned five stars overall, while the front-drive version earned four stars overall. The standard safety kit for the 2016 Mitsubishi Outlander includes four-wheel anti-lock disc brakes, electronic stability control, and a total of seven airbags—including a new driver’s knee airbag. The side-curtain airbags have rollover sensors but don’t extend to the third row. The ABS is a newer-generation unit that considers yaw inputs separately from the stability control system—useful when going from gravel to pavement, for instance. The Outlander can be optioned with a long list of active-safety items, including frontal-collision warning, lane-departure warning, and adaptive cruise control. Those items can all be had together, with rain-sensing wipers, power-folding mirrors, and a windshield-wiper de-icer, in a Safety Package that adds to the mid-range SEL. At a total price of $27,395, Mitsubishi says it’s the lowest-priced vehicle with frontal collision mitigation. Frontal-collision warning with automatic emergency braking, which operates in two stages (near and far) and uses radar—first to warn the driver of an obstacle or other vehicle up ahead, then to actually brake the vehicle to a stop is you’re moving around 20 mph or less. Adaptive cruise control uses that same radar system and lets you maintain one of three different following distances to the vehicle ahead. Lane-departure warning uses a windshield camera system to follow lane striping and give audible warnings above 40 mph. In the Outlander, during several drives, we’ve found this to be a very intrusive system, with lots of scolding beeps back to the driver—sometimes seemingly when there’s no issue. Unfortunately there’s no option to change its sensitivity; it’s either off or on. The value signals are mixed; you’ll find a lot for your money in the 2016 Mitsubishi Outlander SE and SEL, although the top GT model just doesn’t compute. 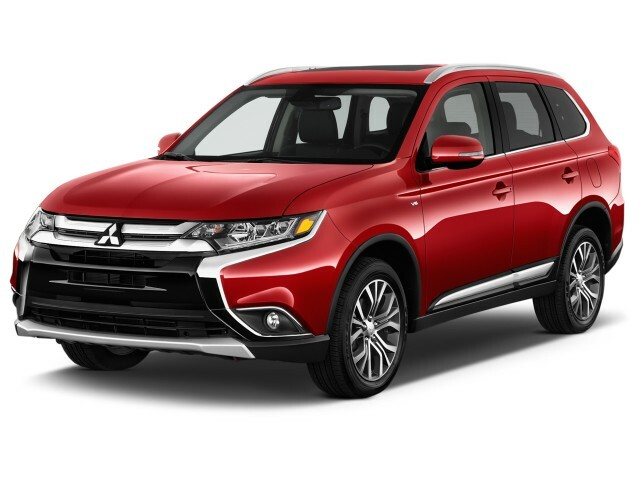 The 2016 Mitsubishi Outlander can be had in four different trim levels: ES, SE, SEL, and GT. The ES is a modestly equipped base model, available only with front-wheel drive, while the top GT can only be had with the V-6 and all-wheel drive. In between, the SE and SEL models constitute the bulk of the lineup—and offer the best combination of features and value for the dollar, as we see it. Even the base ES model of the 2016 Mitsubishi Outlander includes automatic climate control, keyless ignition, cruise control, steering-wheel audio controls, full power accessories, the 60/40-split folding second-row seats and 50/50-split third-row seats, underfloor rear storage, a leather-wrapped steering-wheel and shift knob, two 12-volt power outlets, a USB port, and Bluetooth hands-free connectivity, plus a six-speaker, 140-watt audio system. For 2016, Mitsubishi has added LED taillights and position lamps plus alloy wheels. Next up the model line is the Outlander SE, which now includes fog lamps, keyless ignition, dual-zone climate control, heated seats, high-contrast instruments, a stereo with 6.1-inch display, HD radio, and a rearview camera. And then the SEL gets leather upholstery, a power driver’s seat, roof rails, and gloss-black interior trims. On the SEL, you can add several value-oriented option packaged. A Safety Package adds some core active-safety items and adaptive cruise control, rain-sensing wipers, power-folding side mirrors, and a windshield de-icer, while a Premium Package brings a power sunroof, remote power liftgate, Rockford Fosgate Audio with satellite radio, and the power mirrors and windshield de-icer. At the top of the four-cylinder range, if you add the Touring Package, you get pretty much all the previous mentioned items plus a sunroof and navigation system. At the GT level, the V-6 is included, as well as all-wheel drive system, and LED headlamps, a garage-door opener, an auto-dimming rearview mirror, paddle shifters, and more chrome exterior trim are offered—in addition to nearly all of the aforementioned things—although navigation, forward collision warning with automatic emergency braking, lane-departure warning and adaptive cruise control are offered as part of a GT Touring Package. That brings the top end of the Outlander, all said, over the $35,000 mark. Mitsubishi also offers quite the list of port-installed options on the Outlander. 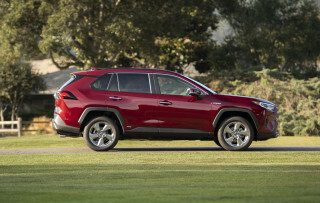 These range from a rear-seat DVD player and remote engine start to additional cargo solutions, trims packages, LED fog lamps, and a full navigation system, and they could potentially add a significant amount to the bottom line (about $400 is typical, we’re told). Since Mitsubishi adds many of these items to vehicles in dealer stock, you may have to wait for one of the base builds of the Outlander. The one thing that still feels like it’s missing from the lineup is a full-fledged infotainment system. Even though Mitsubishi has changed the button arrangement for the touchscreen system this year, but it still seems a bit primitive, even for this class. It’s relative here; the 2016 Mitsubishi Outlander gets better gas mileage than other non-hybrids with third-row seating, yet next to other compact crossovers it’s about average. Stick with the inline-4 engine, and, provided you don’t expect the fuel efficiency of a hybrid—it’s not here yet—the Mitsubishi Outlander is quite good for fuel efficiency. Engines in the 2016 Outlander haven’t changed versus last year. But with the introduction of a new "CVT8" version of the continuously variable transmission (CVT), fuel economy ratings for some of the most popular models in the lineup—four-cylinder models with all-wheel drive—go down slightly this year. For four-cylinder models, that actually ranks them as one of the highest-mileage vehicles with third-row seating. 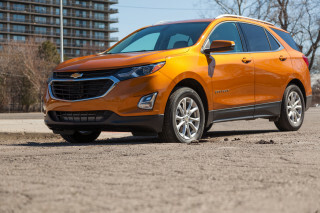 In an a drive of the revamped 2016 model that took us on some fast-moving, hilly, and curvy backroads, we managed to see observed fuel economy averages that were within 1 mpg of each other in four-cylinder and V-6 models—both with all-wheel drive. Consider the 21 and 20 mpg numbers we saw to be a worst-case scenario, and we suspect that in light-throttle driving the four-cylinder models could do much better. It’s also worth pointing out that premium gasoline is recommended for the V-6. As with many engines designed for premium, you might see lower real-world mileage when you run it on regular. Across the lineup, you get an Eco Mode button, which runs the system as a front-wheel drive vehicle until there’s actual slip of the front wheels. With either engine, Eco Mode also softens throttle response and uses the air conditioning compressor more conservatively. The much-awaited Outlander PHEV (plug-in hybrid) is finally slated to arrive for the 2017 model year. It will provide both all-wheel drive and the capability to function as a series or parallel hybrid, depending on which is most efficient at the time. The system combines a 2.0-liter four-cylinder engine with two 60-kw motors, and an electric-only range of more than 30 miles (with full charges taking about 4.5 hours on 240 volts).